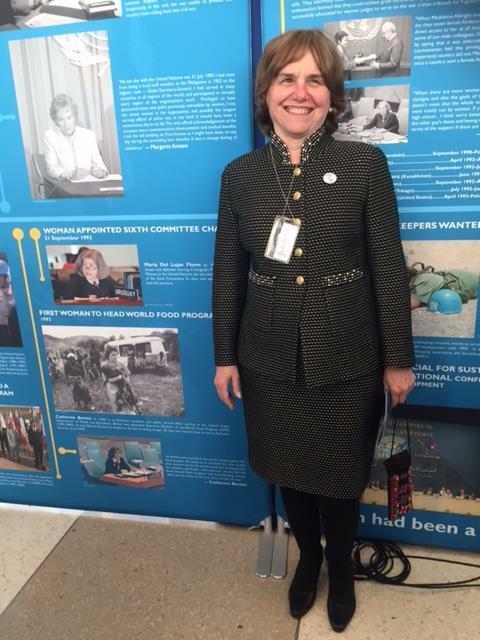 During her time at the UN, Catherine Bertini was responsible for administering the UN’s human, financial and physical resources and security of staff worldwide. She managed a $3 billion biennial budget, human resources support to 9,000 staff members, accounting, treasury, contributions, travel, information systems, purchasing, facilities management, building refurbishment, worldwide security system, and the $29 billion pension fund investment portfolio. She was appointed by Secretary General Kofi Annan as a member of the Secretary General’s cabinet and elected chair of the management committee of the UN Chief Executives’ Board. 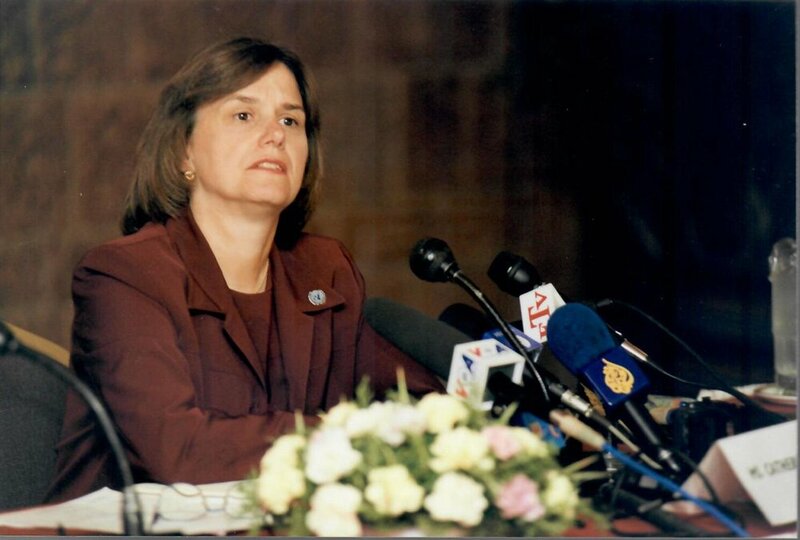 Pictured Above: Catherine Bertini addressing the UN Security Council as Executive Director of WFP in 2002. UN Secretary General Kofi Annan announcing the appointment of Catherine Bertini as Under Secretary General for Management (2002). 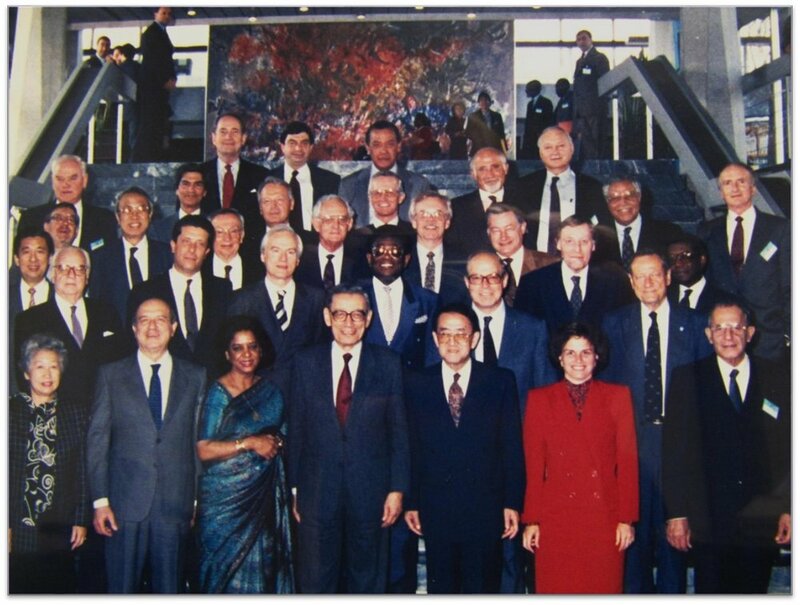 As the Under-Secretary-General for Management, Catherine Bertini supervised major reforms of the worldwide security management system, and mandated training for all UN staff. She displayed skills in crisis management, proactively following up to fatal bombing of UN Baghdad facility by providing repatriation, medical care, and family support. She was also responsible for arranging the return of UN staff to Iraq, negotiating with US military, recruiting dedicated security support, and securing new facilities. UN agency heads (left to right): Carol Bellamy UNICEF, Carolyn McAskie OCHA. Dr. Nafis Sadik UNFPA, Sadako Ogata UNHCR, Louise Frechette Deputy Secretary General, Gro Harlem Brundtland WHO, Mary Robinson UNHCHR, Catherine Bertini WFP. 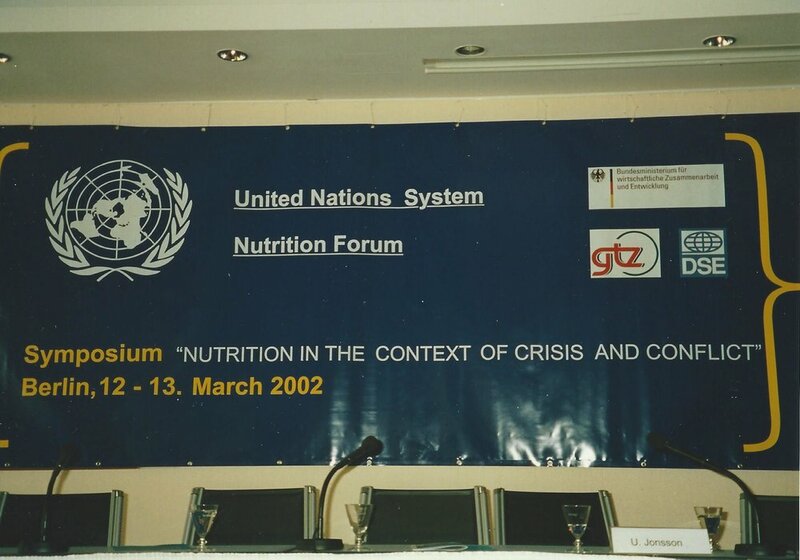 From August 2002 to August 2006, Catherine Bertini provided leadership to UN agencies, many NGOs and national governments on making nutrition a priority in their policy and implementing work. In August 2002, Catherine Bertini traveled to Israel and the Palestinian Territories to assess humanitarian needs of people living in Gaza and the West Bank. She negotiated changes with senior leadership and made recommendations to the Secretary General which the authorities in the region agreed to implement. View Report. 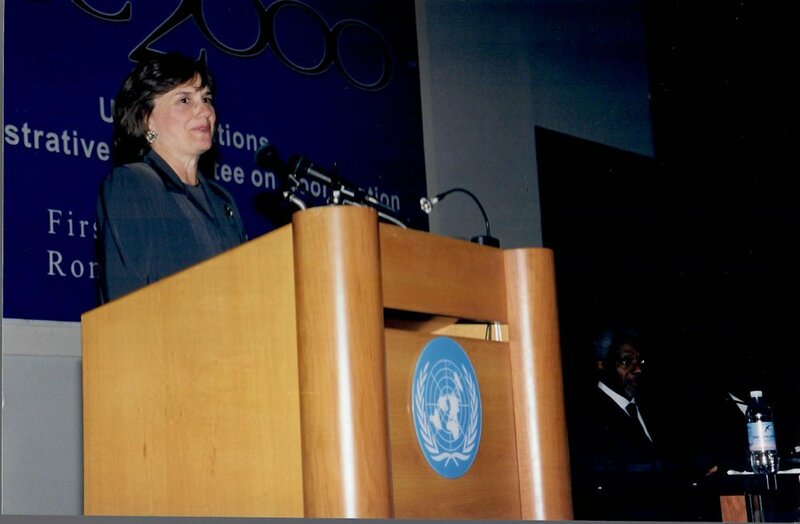 From March 2000 to December 2001, Catherine Bertini traveled through the region, meeting with heads of state, UN agencies, NGOs, village leadership, general public, and donors, in a successful effort to assess people's needs, insure coordinated effort, raise awareness and resources and implement effective programs to protect populations from negative consequences of drought. View Report.